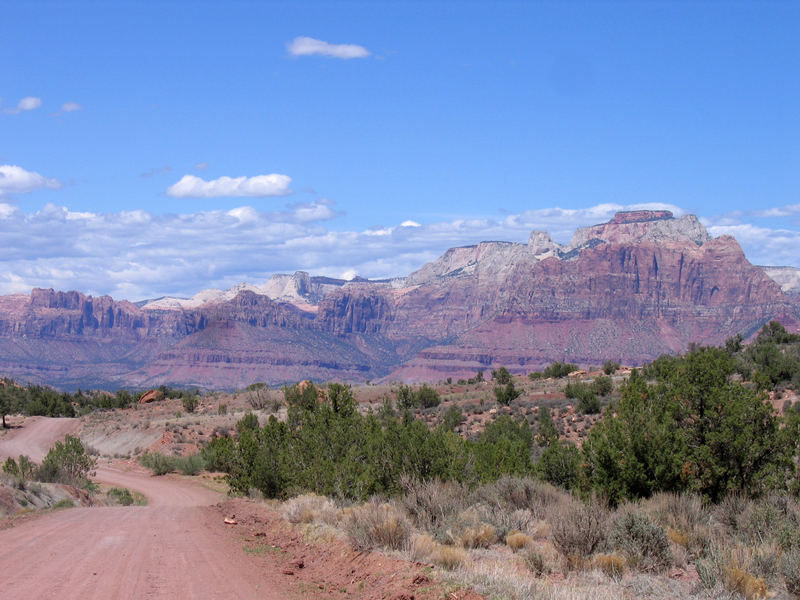 National Scenic Byways Online and Bureau of Land Management. Hi, I’m Holly Strand from the Quinney College of Natural Resources at Utah State University. 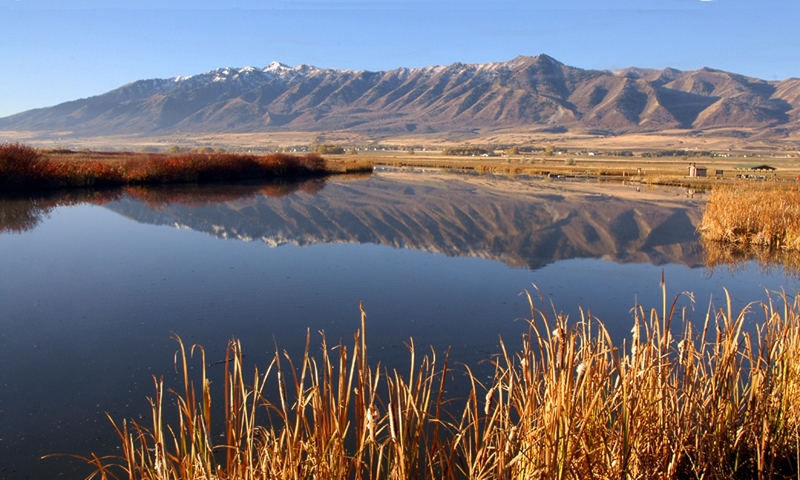 You don’t have to be in Utah to appreciate some of its treasures. Examples of Utah natural history can be found in museums around the globe. The last time I was in Washington DC, I explored the collections of the Smithsonian Museum of Natural History. There turned out to be a whole lot more Utah stuff than I ever imagined. Many would consider dinosaurs to be our most illustrious museum export. 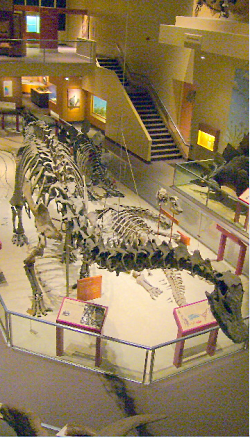 Indeed a 90-foot long Utah diplodocus is the centerpiece of the museum’s Dinosaur Hall. Not far away is an amazingly intact Camarasaurus from Utah’s Dinosaur National Monument. Its fossilized bones remained in position for over 150 million years. So beautifully and naturally preserved, it still rests on part of the sandstone block in which it was found. Only a tiny fraction of the Museum’s collections are on display. The vast majority of its 126 million specimens are in drawers, vaults, and freezers. These items are meticulously cataloged and preserved and they serve as primary reference materials for researchers around the world. I found many 1000s of cataloged items for Utah plants, mammals and birds. Less abundant, there are still 100s of records representing specimens of our amphibians, reptiles and fish. If you poke around in the collections databases you are sure to find something of interest. I found records of some 300 Utah plant specimens collected by Lester Frank Ward, a botanist who worked for John Wesley Powell on his western expeditions. Powell also contributed to the Smithsonian’s collection of flora and fauna. I found 8 bison skulls and one grass species, but there is probably more. There is the skull and partial skeleton of a grizzly killed in Logan Canyon. 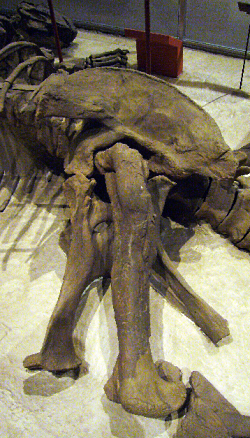 Not Old Ephraim–his skull is here in Utah–but another one killed the year before. In 1950, a meteorite struck a driveway just a few feet from a Box Elder County woman. A few years later, the meteorite was donated to the Smithsonian. But not before it was enhanced by local schoolchildren using crayons of various colors. The museum’s mineral collection contains 1000s of Utah specimen, some with very strange names : I found Beaverite, Rabbitite Englishite, Coffinite, Psuedowavellite, Cristobalite, Alunite, Apatite and even Bieberite. As in Justin, I guess. Anyway, you get the idea. The Smithsonian collections form the largest, most comprehensive natural history collection in the world. And Utah is a prime contributor of both collection items and the stories behind them. By the way, not only are Utah things in the Smithsonian, but there are also Smithsonian things in Utah. For example, the Henry Mountains in south central Utah were named after the first Secretary of the Smithsonian Institution Joseph Henry. Another example is Smithsonite–or zinc carbonate–which was first identified by James Smithson in 1802. The very same Smithson left his fortune to the United States government, directing that it be used to create the Smithsonian Institution. The mineral Smithsonite has been found in Tooele and Washington Counties. Lastly, there’s Smithsonian Butte. When the Powell Expedition traveled through the Zion area, geologist Edward Dutton named the Butte after the expedition’s most generous sponsor. Smithsonian Butte Road is a designated national backcountry byway, crossing over the Vermilion cliffs between Utah 9 and Utah 59. 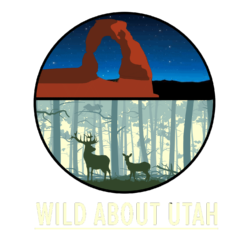 For Wild About Utah, I’m Holly Strand. Research and Collections of the Smithsonian NMNH.